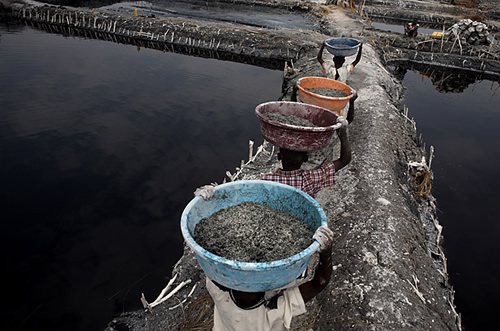 At Lake Katwe in western Uganda, around 700 men, women and children work to extract salt from the brackish waters. They earn $30 a week for their labors, a decent wage by Ugandan standards. The extremely salty water eats away at any cut or lesion in the skin. In addition to super glue, the miners use condoms and tire tubes to protect themselves.